Previously unissued live set from rock legend! Omnivore Recordings is proud to present Live At The Bitter End, August 1971, an unissued live performance. With only his pure voice and an acoustic guitar, Dion moves through his catalog flawlessly—putting listeners in the club with him. This is Dion at his best, at the beginning of his third decade as a star. In addition to the aforementioned hits, Dion presents his then new material like the singles “Your Own Back Yard,” “Sunniland,” and “Sanctuary,” while classics like “Too Much Monkey Business” and a stunning version of The Beatles’ “Blackbird” help round out the set. 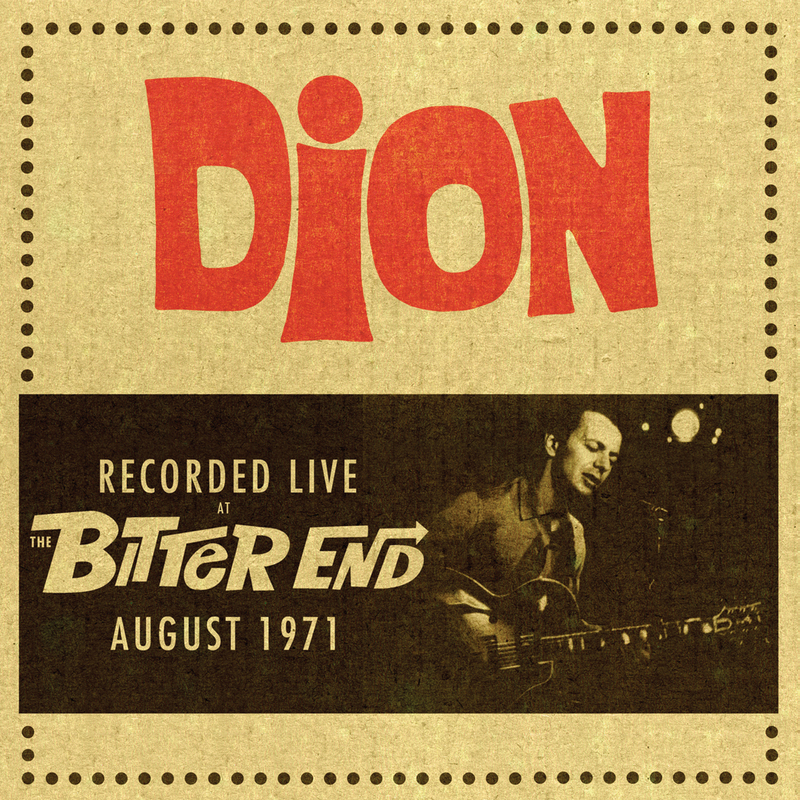 Music had changed since his first release in 1958, and Live At The Bitter End, August 1971, proves that Dion was not only an innovator, but an artist who could transcend genres while still staying true to what made him a legend.